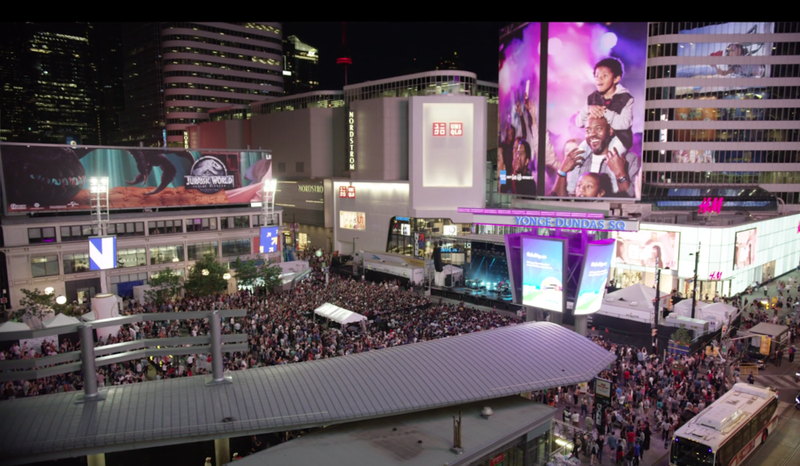 NXNE shuts down two blocks of Canada's longest street every June to create the NXNE Yonge Street Festival Village as part of their 10 day annual festival of music, gaming, comedy and more. NXNE’’s Yonge Street Festival Village takes place Friday, June 14 to Sunday, June 16. NXNE takes over Toronto's Yonge Street every June, from Yonge Dundas Square, Canada's Times Square, south to Queen to create the NXNE Yonge Street festival Village, more than two blocks of free entertainment, activations and more. NXNE shuts down the street and sets up its main music stage on Yonge facing into the city's celebrated Square where a beer garden helps beat the heat. A Comedy Tent at the south end of the Festival Village brackets the fun and gaming stations, sponsor activations, buskers, community group information booths and much more keep the Village pumping throughout NXNE's three days on Yonge. NXNE’s 2019 Festival Village takes place Friday, June 14 to Sunday, June 16. The full Festival runs Friday, June 7 to Sunday, June 16. NXNE's 2018 Festival Village headliners included: Chvrches, Jazz Cartier, Tinsahe, Lights, Big Freedia, Azealia Banks, Yungblud, U.S Girls, Cadence Weapon, Alx Velez, Seon Leon and many more as over 50,000 attended the Festival Village alone. Previous NXNE Yonge Street headliners have included: Iggy and the Stooges, Flaming Lips, St. Vincent, Run the Jewels, New Pornographers, Spoon, Mac de Marco and dozens more -- all for free. Watch for lineup announcements in Spring 2019. Chvrches headlined NXNE's Yonge Street Festival Village, Saturday, June 16 in 2018 as NXNE shutdown two blocks of Canada's biggest street for three days June 15--17. 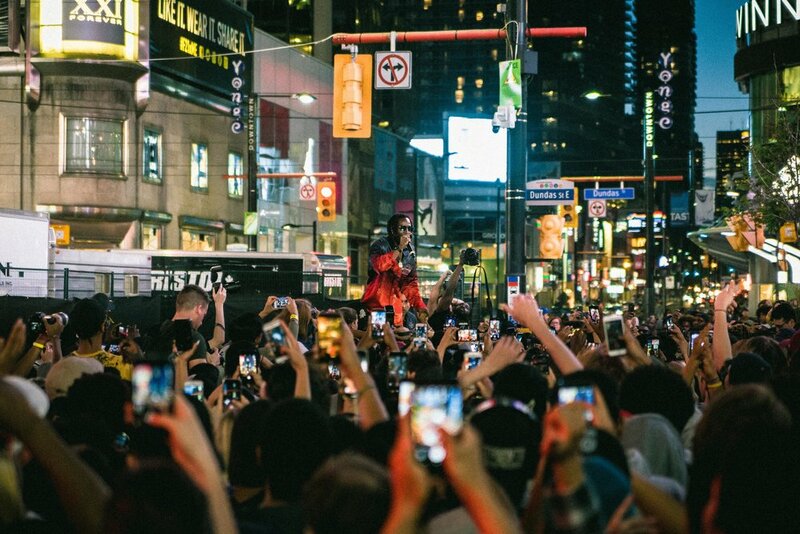 Toronto's Jazz Cartier headlined Friday, June 15 at NXNE's Yonge Street Festival Village. Other acts that night included: Azalea Banks. U.S. Girls, Cadence Weapon and more. Lights was one of NXNE's 2018 Yonge Street Festival Village highlights when she played Saturday, June 16. Big Freedia brought NXNE Yonge Street Festival Village 2018 to a dance party close Sunday, June 17. Robert De Long got the crowd going early at NXNE's Yonge Street Festival Village Sunday, June 17 before Big Freedia and Tinashe took over.